Want more traffic and shares for your content? Use Shareaholic’s social share buttons. In just a few weeks, Shareaholic is headed to Blogworld & New Media Expo in New York to network and learn from other bloggers! We couldn’t be more excited, and we’d thrilled to be able to exclusively offer the Shareaholic community a sneak peak at some of the learnings to be had at the big event, plus a 10% discount on registration with the registration code SHARE10. 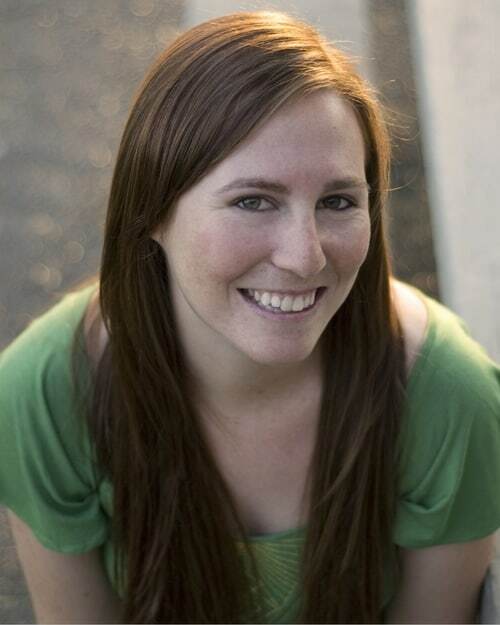 To give you a sense of the awesomeness that is BlogWorld, I present to you Jenna Langer, Director of Community and Strategy at LiveFyre, a blog conversations platform. Jenna is leading a great session on building community for your organization – something she knows a lot about through her world with bloggers at Livefyre. Here are some of her tips. If you’re running social media or the blog for your company, she’s sure to have a few tips in here for you. 1. What IS a community manager? JL: It’s easy to get caught up in the title “community manager.” I actually don’t even like it because the word “manager” doesn’t accurately reflect what the job entails. It also depends on the stage and size of the company. Smaller startups should treat CMs as team members who can cover a lot of ground and absorb everything like a sponge. When I started as community manager at Livefyre, believe it or not I was the third employee, I was filling any role that wasn’t engineering— including QA, product development, copy writing and blogger outreach, all with the end goal of building our community. Now that our company and user base have grown significantly, roles are becoming more focused so each employee has more depth, and less breadth. We have specific teams concentrating on strategy, support, outreach, and engagement, and we all collaborate and help each other whenever possible. 2. Is community one person’s job or is this a part of community culture? JL: Community should definitely be part of the company culture. At Livefyre, Jordan Kretchmer, Founder and CEO, says that everyone is a community manager. The more ears you have listening to feedback, and the more people that care about the end user, the better. No matter what your role, you still represent your company and should think about that in how you treat people. Take Virgin America for example: they have an active social media presence and are always friendly across the web. But the reason I continue to fly with them is because I can expect good service from all of their employees – from the flight attendant to the person behind the tweets. 3. How can great customer service create an army of brand advocates? JL: Great customer service builds trust between brands and users. If a user or customer can get an answer quickly or they are supported through any issues, they become more comfortable with the brand knowing that they have someone to go to if any other questions arise. We have never asked for a single blog post to be written about Livefyre, but many users have been so happy with our service that they are more than willing to shout from the rooftop. We’ve found that these users are more likely to recommend our service because they begin to know our company as individuals who have helped them, and that we will be there with a friendly and timely response no matter what. 4. How do you manage multiple customer service channels? JL: We have yet to find the perfect tool that solves this problem, but we’re working on it. We use several channels including email, Twitter, Facebook, Get Satisfaction, and of course our own platform, Livefyre. We’re constantly scanning conversations happening on blogs to chime in where we can help, in addition to tracking Google Alerts of any mention of our brand. Desk.com helps us manage the inbound emails and our contact form, and we try to get people to use this channel the most as it provides the best follow-up. In the end, our group email list is the best way for us to communicate to make sure we cover all of our bases. Also, if someone has a personal relationships with a user that has a question, we usually defer to that individual to continue the conversation and strengthen the bond. 5. Even though social media is important, what about traditional marketing like events? How important is that and how do you use those with Livefyre? JL: Online relationships are very important, but making that face-to-face connection can make all the difference. We like to participate in conferences like BlogWorld because we genuinely love meeting our users, greatly benefit by getting their feedback on our product face-to-face, and want to thank them for all they have done for Livefyre. Blogs are communities of their own, and bringing people together in person helps make that digital interaction even more meaningful moving forward. It’s not just about bloggers knowing the face of Livefyre, but it’s about providing a venue for our bloggers and commenters to meet each other outside of the comment section. Livefyre is all about building communities, and we want to help foster that online and offline, not just on your site. What did you learn from Jenna? Let us know in the comments!